Garfish have hosted our share of Christmas functions over the years, so in the lead up to the ‘silly season’ we thought we’d take the opportunity to share some valuable tips aimed at helping you to enjoy this year’s celebrations. Tasked with organising your work Christmas party? Or planning an event for family or friends? Plan early! Book your venue, organise your guest list, secure a keynote speaker if it’s a work event, and get things happening in plenty of time. Formulate a back up plan: what would happen if something went wrong? Would it make or break your event? Plan for it, then when one of your junior staff gets a bit rowdy and starts telling the managers what they really think of them, you’ll have already thought of a solution! Keep calm! Everyone is in a celebratory mood, so even if everything doesn’t go exactly to plan, chances are most people won’t mind. So long as it doesn’t involve some particularly questionable photos being posted on social media after the event, everyone will be likely to laugh about any of those minor ‘hiccups’ later. 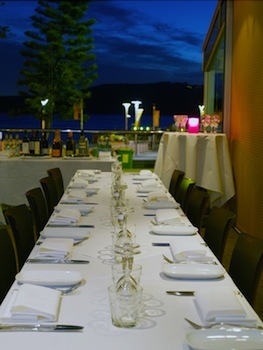 If you haven’t already organised your Christmas function, all three of our Garfish restaurants are now taking bookings. View our blog post to find out which of our restaurants is best suited to host your party – they’ve all got something unique to offer. Read more here.